Uzbekistan and Turkmenistan are two of the biggest producers and exporters of cotton in the world. To produce this cotton both repressive governments use systems of forced labour on a massive scale. Both countries export a vast majority of their cotton, which ends up in global supply chains and on the shelves of many high street shops worldwide. We have worked to end forced labour in Uzbekistan’s cotton industry for nearly a decade under the banner of our Cotton Crimes campaign. Recently we extended our work to Turkmenistan, which uses similar practices. “You work like a slave from morning till night, not enough food, [we] sleep and wake up hungry again.” – student of Andijan Agricultural Institute, Uzbekistan, 17 September 2016. We work in partnership with the Cotton Campaign, a wide coalition of organisations, lobbying governments, international organisations and business to put pressure on the governments of Uzbekistan and Turkmenistan to end these abuses. We mobilise the cotton industry to ensure that no tainted cotton is in the goods we buy and lobby national government and international organisations such as the European Union and the United Nations to put pressure on the Government of Uzbekistan to end this practice. We have gone a long way in mobilising the business to stop knowingly using Uzbek cotton in their products. 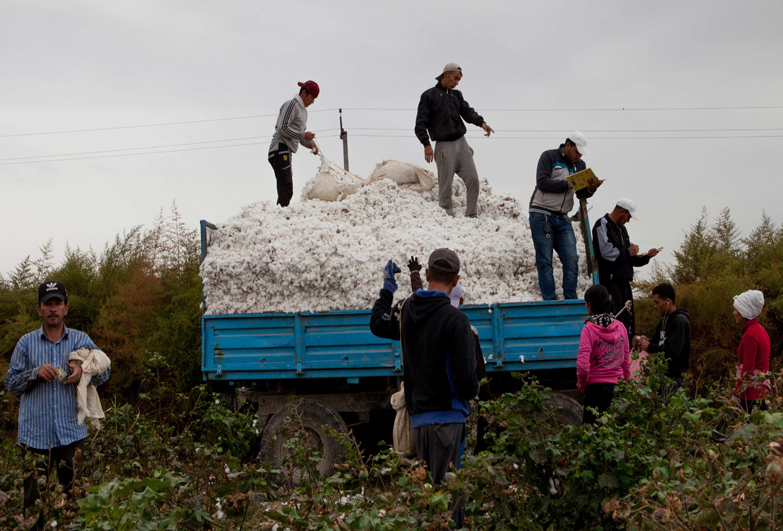 Over 250 businesses have already signed the Cotton Pledge to not use Uzbek cotton. But supply chains are so complex that it’s often not easy to determine the source of the cotton in final products, so we urge businesses to proactively do more to ensure that Uzbek and Turkmen cotton does not enter their supply chains. We successfully convinced H&M and Nike to take more proactive steps to that end and continue to encourage others to do the same. Our work with governments and international organisations has recently been made harder by their increasingly lenient approach towards Uzbekistan after it stopped forcing children to pick cotton on a systematic scale, but replaced them with adults. We have campaigned to stop the World Bank financing Uzbek agricultural projects, and recently campaigned against a trade deal between the European Union and Uzbekistan that that was unfortunately passed by the European Parliament in December 2016. We have a long way to go to encourage such organisations to put more pressure on Uzbekistan to stop slavery practices. In more positive news, the US State Department downgraded both countries in its annual Trafficking in Persons report, pointing out the lack of effort to end forced labour. An important part of our work is documenting these abuses to counter the Uzbek government’s propaganda. We produced two short documentaries containing a rare first hand evidence from the ground, as well as other awareness raising videos. 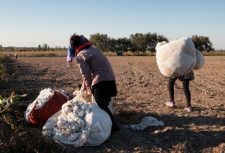 In a practice rooted in Soviet times, the governments of Uzbekistan and Turkmenistan force their own citizens to pick cotton under harsh conditions each harvest season. Farmers are ordered to grow cotton or else risk financial penalties or removal from the land they farm. During the harvest each autumn citizens such as teachers and doctors are forced out of their regular jobs to spend weeks in the fields picking cotton, often in hazardous conditions and without basic equipment. Although younger children are no longer mobilised, local administrations routinely send older students to the fields in some districts. Each citizen is given a daily quota. Those who fail to meet their targets or pick a low quality crop, risk losing their jobs or face harassment from employers or the government. The work is dangerous. People can be left exhausted and suffering from ill-health and malnutrition after weeks of arduous labour. Those working on remote cotton farms are forced to stay in makeshift dormitories in poor conditions with insufficient food and drinking water. 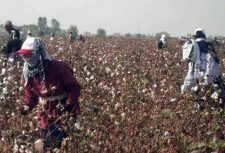 The government of Uzbekistan routinely harasses, intimidates and represses citizens who attempt to monitor the cotton harvest. Businesses are forced to contribute financially if they want to stay open during harvest time. The provision of public services such as healthcare and education is also severely affected during the harvest. Despite widespread knowledge of these abuses, some textile traders and companies have been complicit in buying and selling Uzbek cotton. 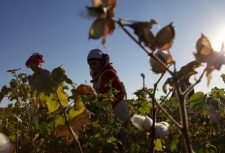 And although many companies have pledged to not knowingly use Uzbek cotton, it still ends up in global supply chains and in a lot of finished products. Many governments and international bodies continue to promote trade with Uzbekistan and Turkmenistan without regard to ongoing human rights abuses. Stop forced labour in Uzbek cotton industry.